In today’s fast paced music scene there is a sense of urgency, a drive, an obsession to be the first hybrid and fusion - to find the new sound. There is, however, amongst this whirlwind and race a natural pause, an in breath a place warm and familiar - that is the Redhillbillies. 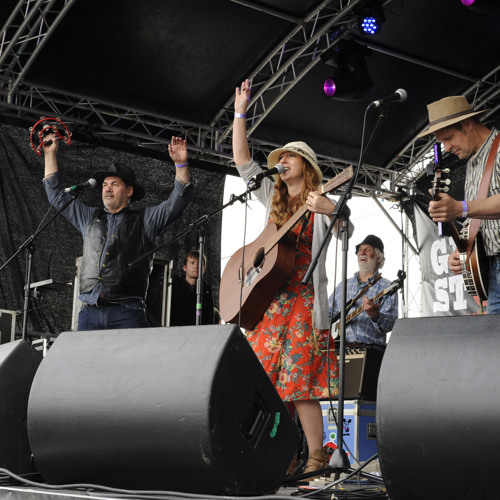 Using a collection of traditional, country, upbeat Rockgrass and classics The Redhillbillies create warm nostalgic, foot tapping, partner swinging and sunshine smile on your face music. Staying true to what they do best – which is having a whole lot of fun! They have insurgent Rhythms, heartbeat stops and five part harmonies and a democratic attitude which allows all in the band to take lead vocals. Most importantly a band chemistry that is unshakeable. The have worked together for over seven years putting in the time an effort to perfect their music and develop as a group. The Redhillbillies are made up of six high spirited and big hearted musicians. Tom Vowles on Banjo, Jo Lee - Rhythm guitar, Ern Panes - bass, Danny O - accordion, Steve Downton - harmonica and Jack Labbe on drums. They have released their debut album, Random Act of Kindness on their own label Redhill Records. They also have their second album on the way this year. The band have played all over the UK but in particular have a strong local following in the South West. Some of their achievements include: Glastonbury Festival 2013, Boomtown Fair 2014, Scrumpstock Festival 2014, Watchet Festival 2012, 2014, Great Dorset Steam Fair 2014, winning battle of the bands in Rockfield Country Music Festival 2011 They have gigged in over 300 venues across the UK.